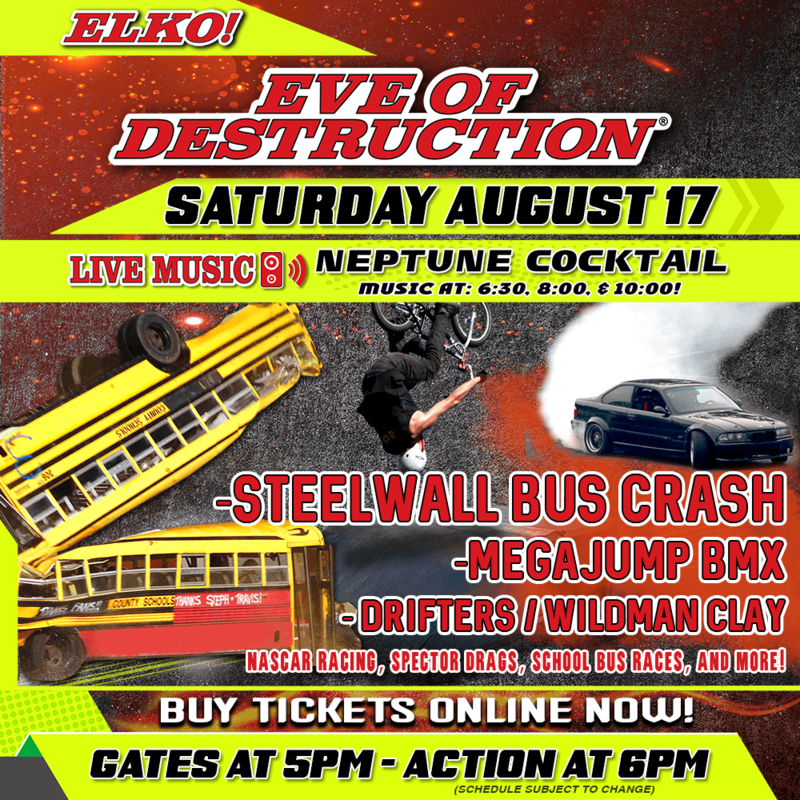 Join us for Eve of Destruction® Saturday, August 17 & Catch the Neptune Cocktail Band LIVE in Champions Bar! Gates open at 5 pm! Music at: 6:30, 8:00, & 10:00!